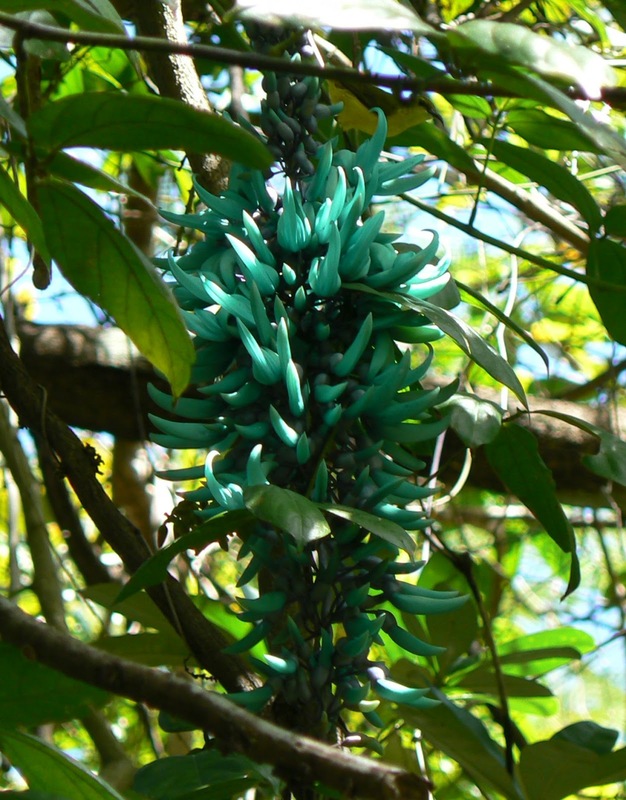 More and more of the Flame of the Forest is starting to bloom and now we are getting glimpses of aquamarine as the Jade Vine starts to open up. Both vines are well intermingled so it promises to be a beautiful display soon. In the next few weeks we should start to see more and more species of birds as spring approaches - already dozens of Rainbow Bee-eaters are having a great time swooping over the wetlands-dam chasing insects. Birds, Wildlife, Plants and daily happenings in the DAINTREE VALLEY and at DAINTREE VALLEY HAVEN ... three private self-contained B&B bungalows on 30 acres of tropical gardens and rainforest in the beautiful Stewart Creek Valley which is surrounded by Daintree National Park, near Daintree Village in Far North Queensland, Australia. Would you like to stay with us?